The information in this agreement is subject to change at any time by WAC Ligero Group LLC. Voluntarily provided information which may include your name, address, email address, date of birth, etc., which may be used in contests, surveys and email correspondence. WAC Ligero Group LLC will collect anonymous demographic information, such as age, gender, household income, geography, etc. We may also gather information about the type of browser you are using, IP address or type of operating system to assist us in providing and maintaining superior quality service. WAC Ligero Group LLC may collect and may make use of personal information to assist in the operation of our website and to ensure delivery of the services you need and request. At times, we may find it necessary to use personally identifiable information as a means to keep you informed of other possible events and/or services that may be available to you from WAC Ligero Group LLC. WAC Ligero Group LLC may also be in contact with you with regards to completing surveys and/or research questionnaires related to your opinion of current or potential future services that may be offered. WAC Ligero Group LLC does not now, nor will it in the future, sell, rent or lease any of our customer lists and/or names to any third parties and/or sponsors. WAC Ligero Group LLC may deem it necessary to follow websites and/or podcasts that our users may frequent in an effort to glean what types of services and/or products may be the most popular to customers or the general public. Perform under demanding conditions in an effort to safeguard the personal safety of users of www.cigar-coop.com and/or the general public. By sending email or social media (including Facebook, Twitter, Instagram, Google Plus, etc.) correspondence (written content, multimedia) to WAC Ligero Group LLC or any staff member you give WAC Ligero Group LLC the right to use this in further written or podcast content. You are assuming responsibility that you own the intellectual capital to what you are sending and are giving. You may override this privilege by expressing in writing that you do not give WAC Ligero Group LLC the permission to use this content. While we have not implemented a subscription service yet, the following will serve as our policy around it. All users and/or visitors to our website have the option to discontinue receiving communication from us and/or reserve the right to discontinue receiving communications by way of email or newsletters. 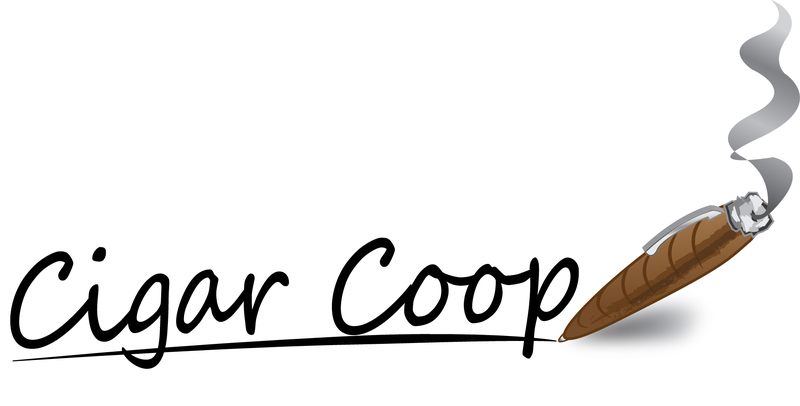 To discontinue or unsubscribe to our website please send an email that you wish to unsubscribe to coop@cigar-coop.com. If you wish to unsubscribe or opt-out from any third party websites, you must go to that specific website to unsubscribe and/or opt-out. The WAC Ligero Group LLC shall endeavor and shall take every precaution to maintain adequate physical, procedural and technical security with respect to our offices and information storage facilities so as to prevent any loss, misuse, unauthorized access, disclosure or modification of the user’s personal information under our control.